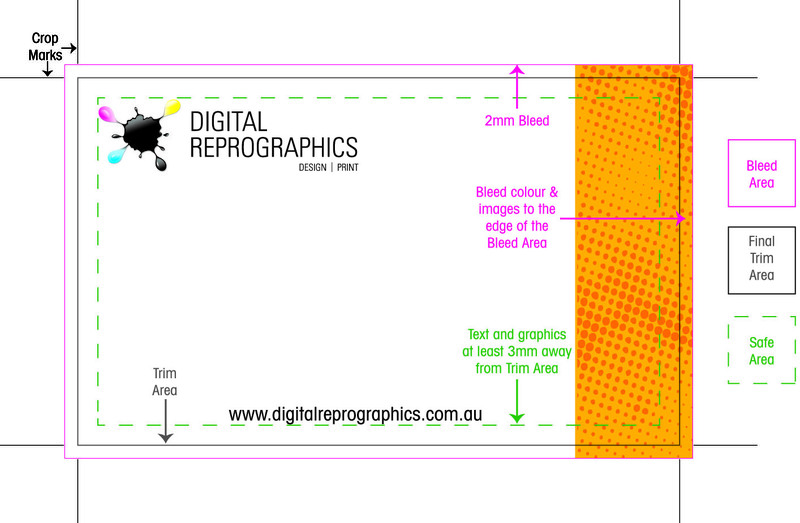 Digital Reprographics considers files to be print ready only if they meet the following requirements and no adjustments are required by our prepress staff. Please follow the checklist below and if not sure about anything call or Contact Us to avoid additional costs in preparing your file. We accept press ready, high resolution PDF files for printing. PDF files should be Press Ready PDF version 1.4. All PDFs should be CMYK, supplied at the correct size with bleed and crop marks. See Business Card example below. Safe Zone: 5mm within the prescribed final size. Bleed required: minimum 2mm to 5mm for booklets. PDFs generated from Microsoft Office packages such as Word, Excel, Publisher or Powerpoint are not acceptable and need to be corrected prior to printing. Please email us first for a free evaluation. PDF generated from native InDesign, Quark Express, Illustrator or Corel Draw are acceptable and highly recommended. Photoshop PDFs need to have their layers flattened. 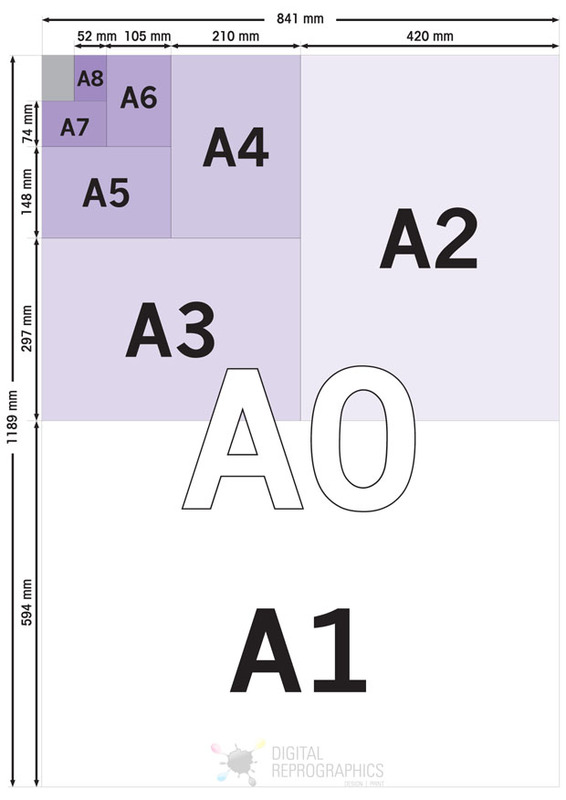 Set document to the size it will be printed at and as per our standard sizes described below. Contact us if you have a different size requirement. Multiple page documents supply as one up and not imposed. All fonts do be embedded or converted to outlines. Reversing fonts less then 8pt is not acceptable. Print jobs are printed using Cyan (C), Magenta (M), Yellow (Y), and Black (K) and this process is referred to as full colour, 4 colour process or CMYK printing. All elements used within your artwork should be CMYK and not RGB or PMS colours as these will not convert accurately to CMYK.